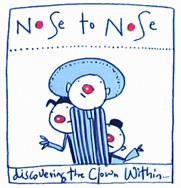 This course offers further practice of clowning with the focus on structure and relationship. The more demanding aspects of this level come from a need to practice a responsiveness to and awareness of your partner on stage, your audience and the images, stories and characters that emerge during improvisation. The teaching method will emphasize finding greater insights into the techniques of improvisation and performance, providing challenges and inspiration enough to take your understanding of this work forward. Level II is a pre-requisite for Towards Performance course and Social Clowning.